Though initial reports will emphasize study design over results, some early learning experts are still concerned about the purpose of the assessment. This latest Pre-to-3 column looks at reactions to U.S. participation in a new global early education study. Past installments of Pre-to-3 can be found here. Educators and policymakers in the U.S. often cringe when new results from the Program for International Assessment (PISA) are released. Ranking the academic performance of 15-year-olds from industrialized countries throughout the world, the charts tend to show the U.S. in the middle of the pack and usually lead to speculation over why the American education system is not among the best in the world. So, what might the reaction be next year when the Organization for Economic Cooperation and Development (OECD), which coordinates the PISA program, releases initial results from the International Early Learning and Child Well-Being Study (IELS)? Other assessments will focus on social-emotional skills, such as empathy and trust, and “pro-social” behavior, such as being cooperative and controlling impulses. 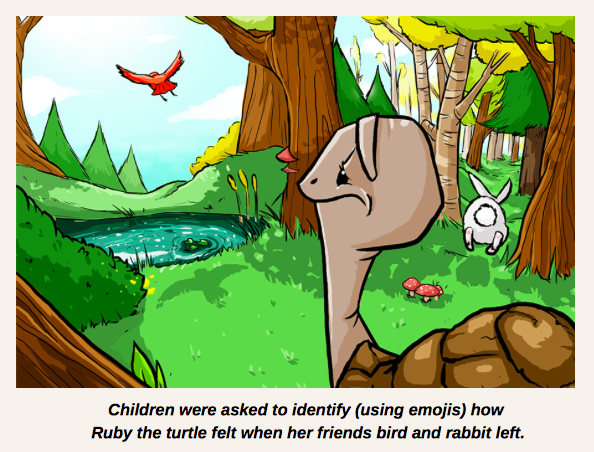 Featuring illustrated characters Mia and Tom, the tablet-based activities being used for the study don’t involve any reading or writing. 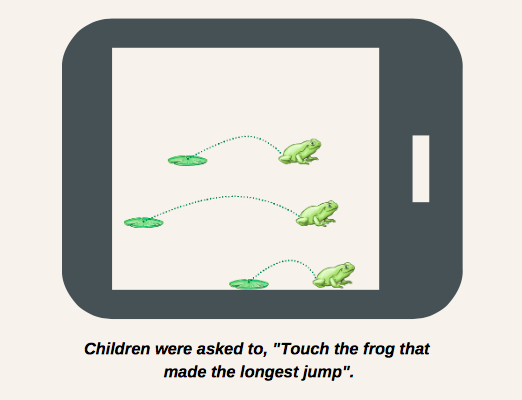 A field trial showed that children did not need prior experience with a tablet to follow the instructions and respond to the prompts — not surprising to the families of most young children. "Early educators and school leaders will be able to learn more about both the cognitive and non-cognitive competencies U.S. children bring with them to primary school and how they compare with the skill profiles of 5-year-olds in other countries," Peggy Carr, associate commissioner for assessment at the U.S. Department of Education’s National Center for Education Statistics (NCES), said in an email. NCES conducts PISA in the U.S.
An example of an assessment task in the study. The children’s parents and teachers will also complete surveys to provide a broader view. While the countries will receive scores in the various areas, officials say they plan to emphasize that the study is more of a “proof of concept” project and a way to test the assessment method rather than an effort to directly compare student outcomes in the three countries. "The NCES IELS report will focus on issues salient to a U.S. audience and will undergo rigorous technical review to reduce the chance readers will misinterpret the results," Carr said. "The OECD will produce a separate report for each participating country describing student performance within the context of their respective education systems." As with any assessment involving young children, however, those in the global early-childhood community initially raised questions about the purpose of the study. “The greatest concern from early-childhood scholars and practitioners is how the standardized assessment of young children across countries will account for cultural and historical contexts,” Global Childhood International, a nonprofit early education advocacy and training organization, wrote in a 2017 article. Others argued that leading members of the early-childhood community were left “in the dark” as the study was developed. He also questioned whether social-emotional skills can be measured through digital media. But Rowena Phair, the project leader for the study, said OECD has "had a lot of engagement ... from education leaders and practitioners, including in the [early childhood education] sector, as well as policy advisors and policymakers, parents and others interested in children’s early development." She added that "while there are undoubtedly a range of views on international education studies of this nature," the participating schools and early education centers have shown "high levels of support" for the project. "These education leaders and practitioners are keen to highlight the importance of children’s early years and bring an international focus to this issue," she said. There are still, however, practical differences between early education in the U.S. and the education systems that exist in many other parts of the world. Sharon Lynn Kagan, an early childhood education professor at Teachers College at Columbia University and an adjunct professor at the Yale University Child Study Center, has been documenting many of these differences in a National Center on Education and the Economy study that includes both the U.S. and England. A task that focuses on social-emotional skills.